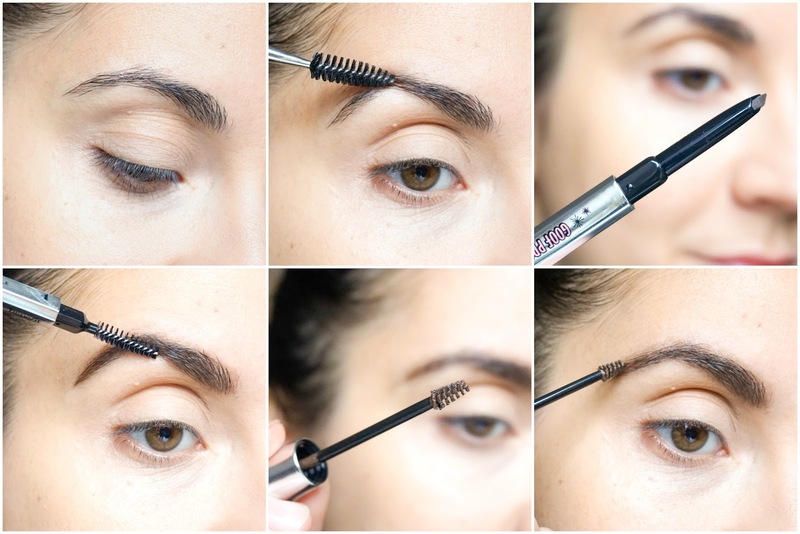 If there's one thing popular beauty brand Benefit, can do well it's brows of course. They are pretty much renowned for their brow services and transformations. 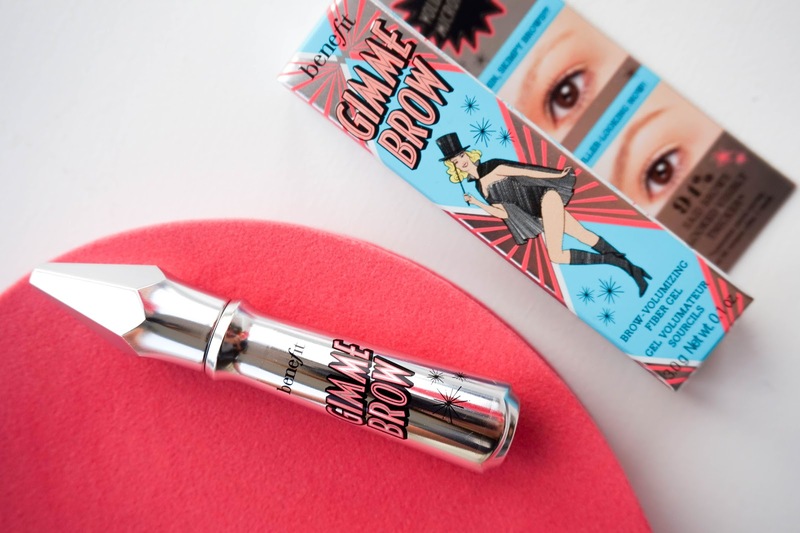 Recently they have also given their brow products a total revamp, as well as adding brand new goodies to the mix. There really is something for everyone and every brow in the new range available. As with every Benefit product, packaging is perfect and you can immediately tell it belongs to this fun, quirky and creative brand. Even though I've been a big fan of the legendary Gimme Brow Gel, I kind of wanted to up my brow game a little bit... so along with the repurchase of the medium Tinted Brow Gel, I also picked out the medium version of the new(ish) Goof Proof Brown Pencil. So with this new duo on my hands I thought I would share with you my updated brow routine, to show you that even non-perfect brows like mine can look defined whilst keeping them natural at the same time. Having defined brows is the best way to look polished, even if the rest of your makeup look is kept to a bare minimum. Not to mention that brows frame your entire face so they are extremely important to how the rest of your features will look overall. If you don't have the time to pop in store (like me) to find the right products for your brow needs, I found Benefit's own website so helpful in choosing what I needed for my brows. Definitely recommend you check them out to find the best products for you. 1. Firstly I like to brush my shapeless brows into some sort of a shape before I apply any product, so I go ahead and do that first with a clean brow spoolie. 2. Then I start adding definition and filling out sparse areas with the new Goof Proof Brow Pencil (medium). I've only had this little beauty for a couple of weeks but I am already hooked. I find it so easy to fill in my brows and add some sort of a shape with this brow pencil. The slanted tip is perfect for using on the brows, not awkward at all and makes application basically fuss-free. I really like how soft the actual pencil inside is so there's no need to press too hard... all it takes is light strokes to mimic natural hair growth. 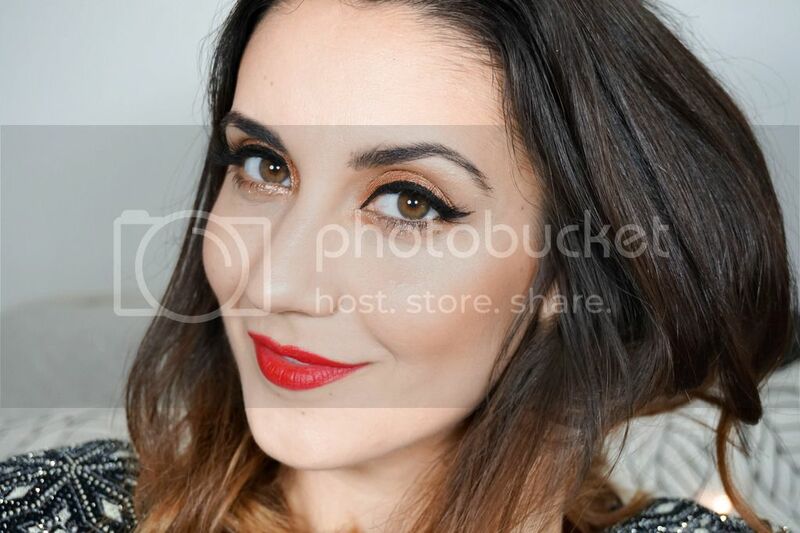 The shade I have here is perfect for my dark brown brows and it looks really natural too. I believe there's six different shades to choose from, which is fantastic and it means you should be able to find the perfect match for you. 3. Next I will use the other end of the Goof Proof Brow Pencil with a spoolie brush attached, to blend the product into my brows for an even more natural finish. Yes I brush my brows again (they're just divas like that requiring extra attention), as I find that it takes away any harsh edges or lines that I may have created. 4. Once that is done, it's time to use one of my all time favourite products and that is the Gimme Brow Volumizing Brow Gel in medium. I've re-purchased this product time and time again, so when I saw that it had been revamped I couldn't wait to get my hands on the new packaging, which I just love. This product is a cult favourite in the beauty world for good reasons. The gel contains tiny microfibres which stick to the skin and hairs... in turn creating a natural looking fullness and definition. What I love best is the tiny brush that is just perfect for my sparse brows and super easy to use without making a huge mess of things (something which I found lacking with a lot of brow gels from budget brands). The shade I have here medium is actually a new shade, as they only had 2 previously - light and dark. I definitely think this new shade addition suits my medium dark brows even better than before. Another great thing about this tinted gel is that it helps to set the brow hairs in place so they can't wonder astray (true story)... and no it won't feel like you've just applied hairspray either. 5. Lastly I use concealer to brighten the area around the brows, which helps to accentuate the arch that I have just created. I'm currently using the budget Seventeen Skin Wow Concealer in Fair as it find it brightens the area perfectly and it's also the same concealer I am using for my under eye area (lazy tip from a pro). Once the concealer is blended out well, I am ready to face my day knowing my brows are defined. 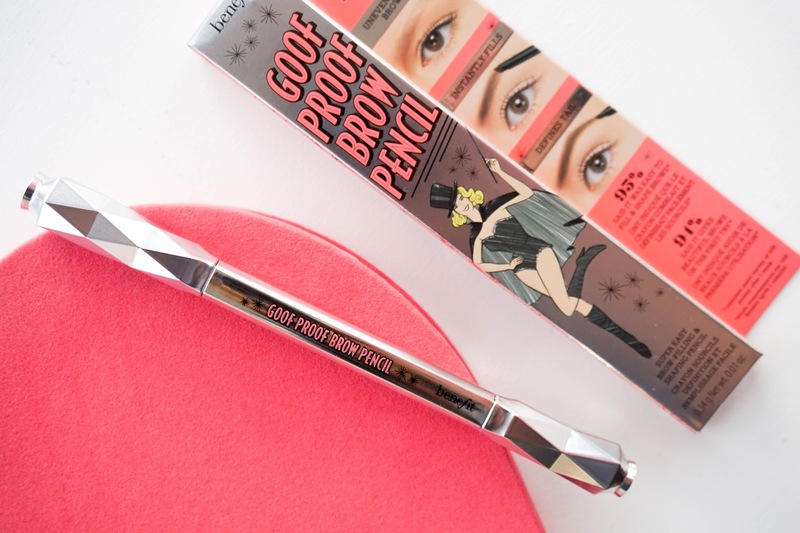 I really don't have a bad word to say about this brow duo from Benefit and I think I have found my perfect brow combination. The best part is that of course both products can be used on their own and you will still be able to achieve great results. It's also worth noting that I found this duo super long lasting, even when the rest of my makeup started melting alway. Have you tried anything from the new Benefit Brow range? What's your favourite product?